After getting several recommendations to read it over the years, I’ve finally begun reading Wolf Hall, which won the Booker Prize a few years back. It’s a very odd book. 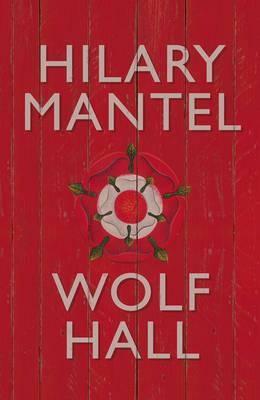 It’s a novel that’s set in 16th century England, and it’s about the life of Thomas Cromwell, Henry VIII’s chief minister. That’s a pretty hard sell for me. I find it difficult to believe that anyone can write a convincing novel set so far in the past. I mean, this is even before Shakespeare! Many writers of historical fiction attempt to create a feeling of verisimilitude by including mountains of period detail re: what people ate, drank, wore, etc. Mantel doesn’t do that. Instead, she just writes a regular novel that’s set in 16th century England in the same way that I might write a novel set in modern-day Los Angeles. It’s actually fairly easy to read. I’m breezing right through it. But I am not yet sure if I like it or not. Every character in the book is vivid and well-realized…except Thomas Cromwell. I’m a third of the way through it and I still have no idea what motivates him. He’s spent the last ten years working for Cardinal Wolsey, a former chief minister who recently fell into disgrace and died, and how he’s slowly worming his way into Henry VIII’s inner circle. But…why? What’s his upside? Does he just want power? It’s not quite coming through for me.